KSA has introduced two taxes recently a 5% VAT and an additional 5% Municipality Fee. Aleman Groups USA is sharing some of the increased costs due to these taxes. Your portion of the increase costs is $400 per person, which includes the VAT and Municipality Fee. On arrival to Jeddah you will be assisted by our staff. When coming out of the custom area please make sure that you are wearing Aleman ID and have your Aleman luggage tags secured to your bags as the staff is not permitted to enter the baggage area. Please follow instructions given by the staff to speed up the process in the Arrival terminal. 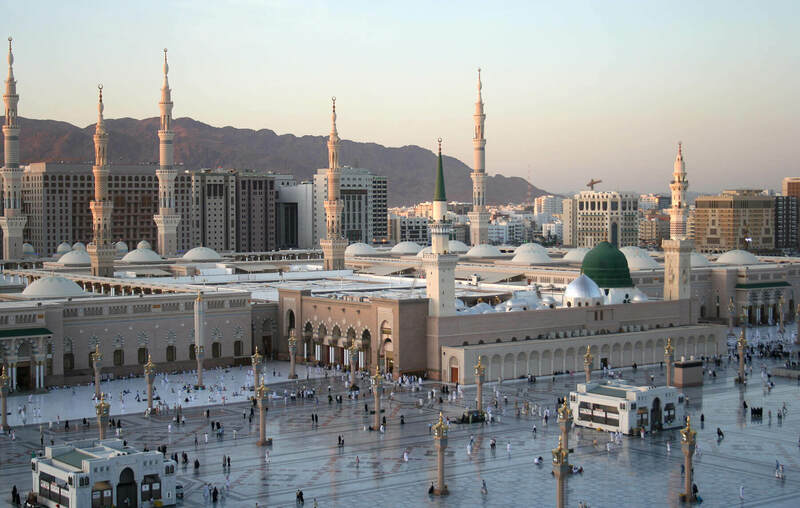 You will be transported from Jeddah to your hotel in Makkah. Make sure you are wearing your Aleman ID at all times. The staff in Makkah will be waiting for you at the hotel on your arrival to assist you. You will then rest for an hour and meet in the lobby to perform Umrah after. Enjoy your stay in Makkah and offer your prayers in Haram. If you wish to do extra Umrah individually our staff will advise you. This is Al Tarwiya Day. You will be transferred by buses to the upgraded North American Camp in Mina. The Hajj Manasik will begin on this day and you should spend your time in dhikr and preparation for Arafat day (Hajj Day). You will spend most of the day and part of the night at Mina camp and have your lunch and dinner box here. You will be transferred to Arafat in the early morning of the Arafat day by government buses. In Arafat you may pray Fajr and you will have your breakfast and lunch box in your tent. You will also be given a food box which you will carry with you to Muzdalifa. You will offer your Zuhr and Asr prayer together and listen to the Khutba in the tent in Arafat. After lunch, you should spend the time with yourself in doing Dua to Allah to accept your Hajj and asking him of all that you need. Please do not spend this time sleeping, chatting or in other activities so that you may utilize this time to do Dua. You will stay in Arafat up until Sundown (Maghrib). 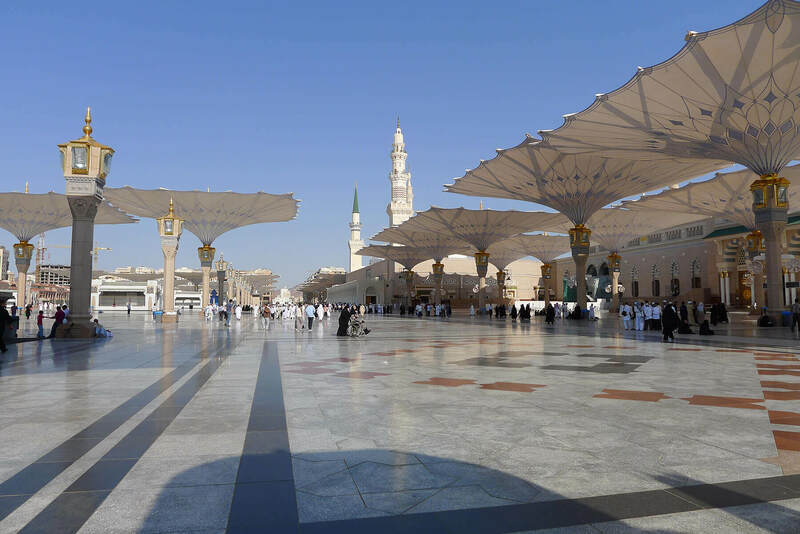 Muzdalifa- We will spend a few hours resting in the assigned area and offer our Fajr prayer. 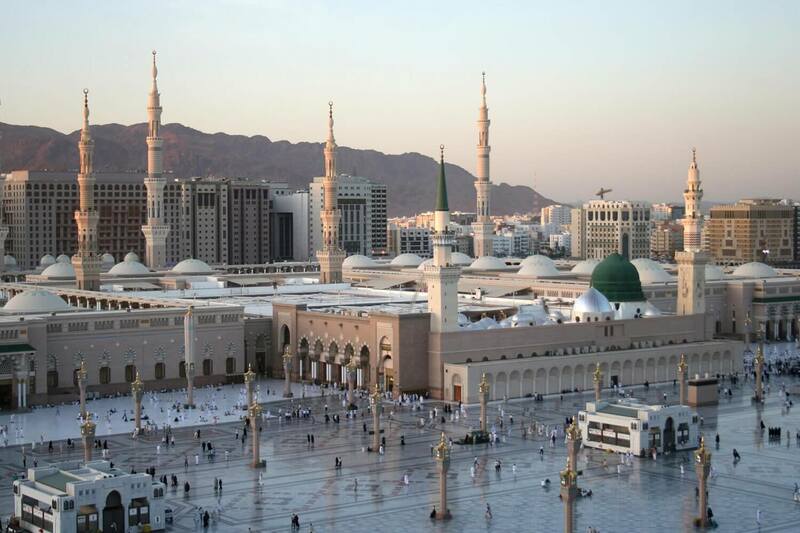 Once we arrive to Mina, we will proceed as a group to throw Jamarat Al Aqabah. Afterwards, we will go to the camp where you will have breakfast. Most likely, before or during the time of breakfast, we will have the notification that the Qurbani (Sacrifice) has been done. Once that is confirmed, we will do our first Tahalul (getting out of our ihram) and changing into our regular clothes. You will have your breakfast in Mina and immediately after breakfast you will throw perform Ramii at Jamarat. 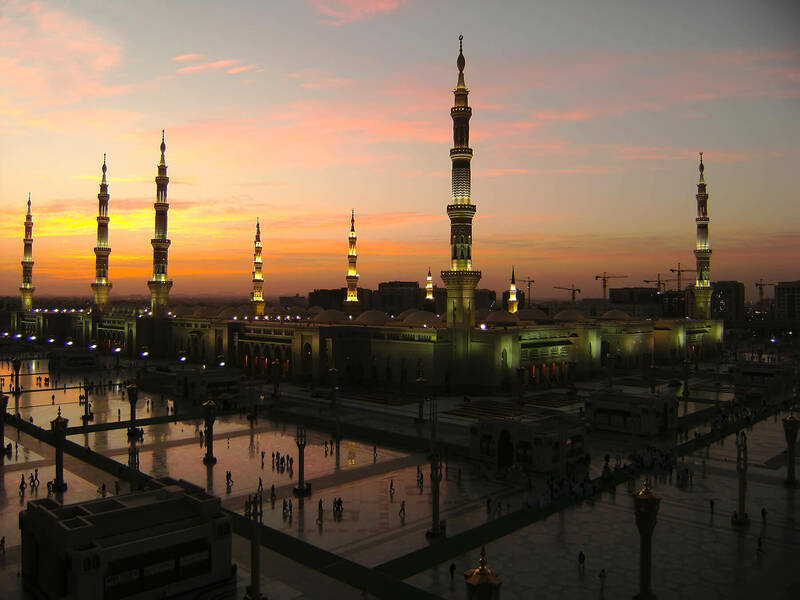 Complete your stay in Mina. After breakfast you will be departing from Mina to Haram. The buses will drop you off so that you can finish your farewell Tawaaf before Jummah prayer. You will perform your Jummah prayer in Haram. Once you are done, you will board the bus immediately and be on your way to Jeddah Airport where you will have a 1 night stay. 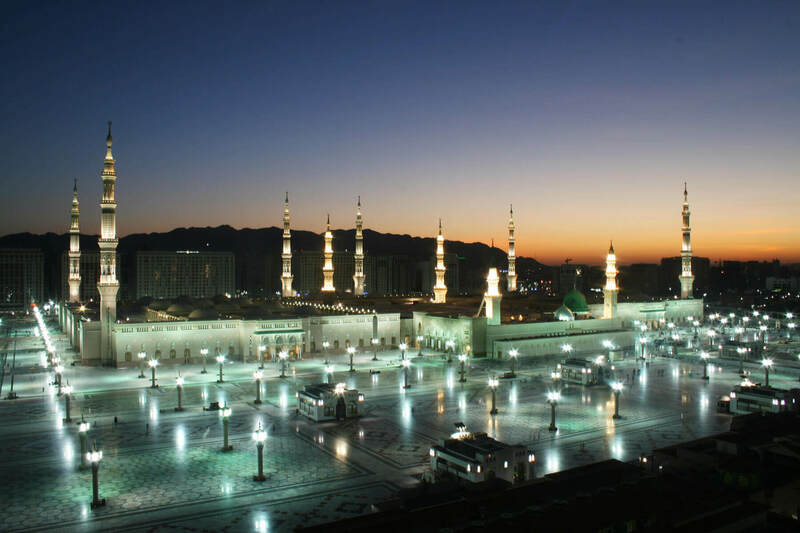 You will enjoy your stay in Madinah for 3 nights. On Saturday, August 17th at 8:00am in the morning after the breakfast the buses will be outside the hotel taking you for Mazarat. 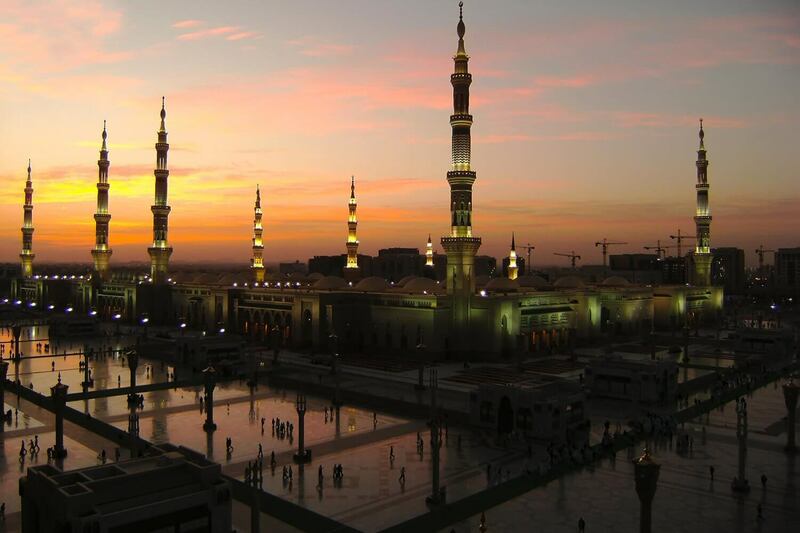 You will be departing from Madinah airport back home according to your flight schedule.